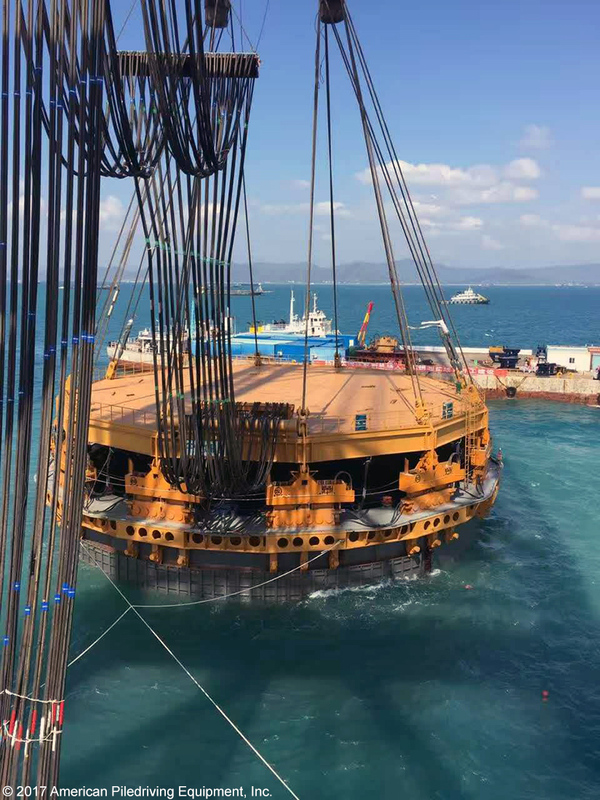 A record 30 meter (98 foot) diameter steel pipe pile was driven by First Harbor Engineering Company of China and APE near Hainan Island for the new international airport for Sanya, China. 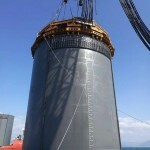 The massive pile is 30 meters in diameter, 34 meters long and weighs over 600 metric tons. 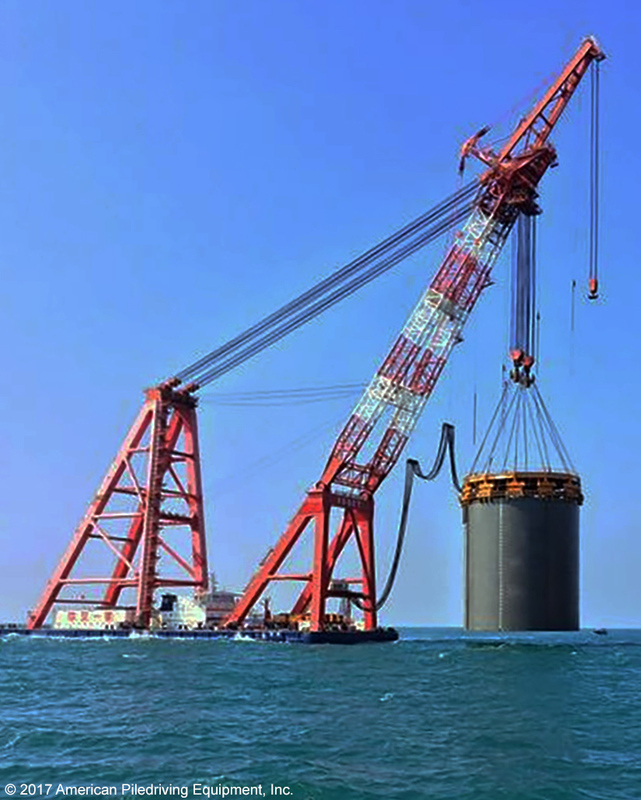 The previous record pile, 22 meters in diameter, was driven by APE’s Octakong on the Hong Kong–Zhuhai–Macau Seaway Project in 2011. Sanya is a growing resort destination in South China, and is currently limited with only one airport and only one runway. The existing airport was designed for 1.5 million travelers per year in the 1990’s but is now seeing an overflow of 13 million people per year, causing unsustainable overburden for the facility. The planned airport is to offer five runways with a projected ability to handle over 20 million people per year comfortably, which is projected to boost the tourism of Hainan island. The only problem? How to create a 5-runway airport where there is no available land for a 5-runway airport, and do so within a 2 year schedule? Answer – Build a new island for a new airport. 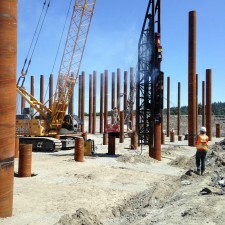 With super large 30 meter diameter piles. Yeah, but how could you drive piles that large? 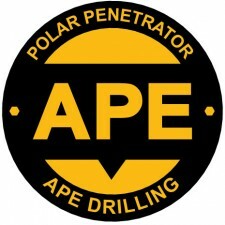 Only with the APE Dodecakong, the world’s largest piledriver. Designed and patented by APE, The Dodecakong consists of twelve APE Model 600 vibros mounted together and powered by twelve CAT 32 – 1200 HP engines supplying 14,400 HP combined. At full power the Dodecakong delivers nearly 4,000 gallons of oil per minute producing a massive 7,200 tons of drive force. There are over 20,000 feet of hydraulic lines (3.8 miles) with an advanced control system to keep all components in perfect synchronization. The roof of the DodecaKong is large enough to accommodate a basketball court with room for nearly 1,000 fans on each side. The total hammer weight is 700 metric tons with 4,200 tons of line pull ability. In order to complete the project on time (in time for the first flights? 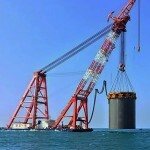 ), at least 3 APE DodecaKongs will be deployed, making it by far the largest pile driving operation in history. 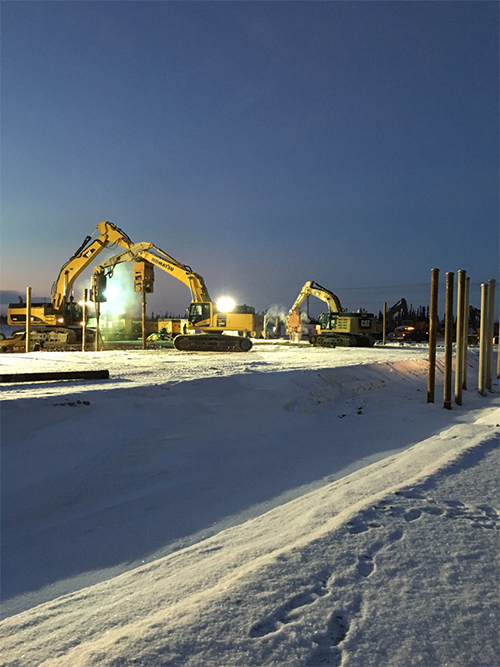 We thank our supply chain members, the entire APE team on two continents, and the exceptional team at First Harbor Engineering, who all worked tirelessly through the Holiday Season to deliver the world’s largest pile driving machine! We look forward to sharing more photos and information as this project continues. 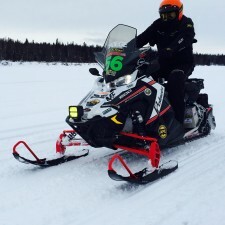 This year, American Piledriving Equipment is sponsoring a snowmobile team in the 2015 Iron Dog Snowmobile Race – the world’s longest and toughest snowmobile competition. The race is over 2,000 miles long, and parts of the race follow the famous Iditarod Trail. The race begins at Big Lake (near Anchorage), heads west to Nome, then doubles back eastward and finishes in Fairbanks. APE is sponsoring Team 56 in the race. 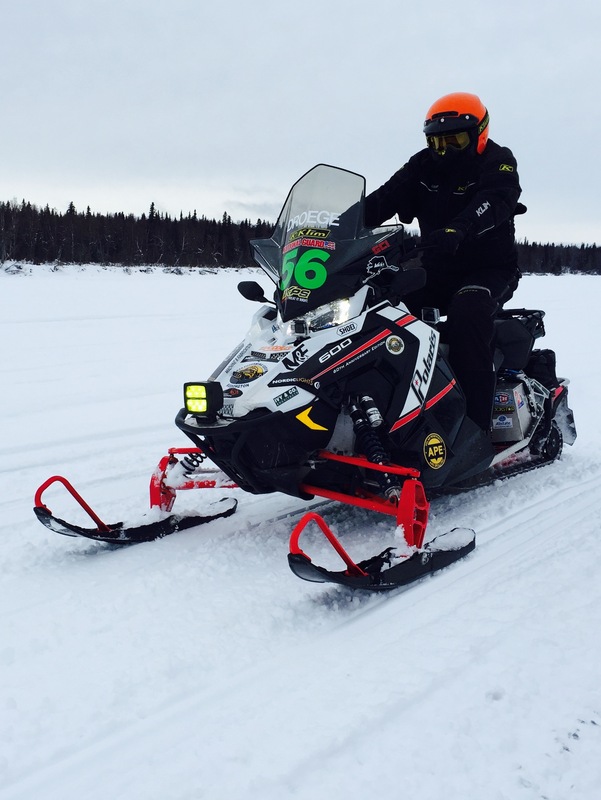 The Team 56 riders are Bernie Droege and Mark Ivy, both lifetime Alaskans. The drivers are on two-sled teams for safety as they travel through remote areas of the Alaskan Wilderness. In total, the race lasts about one week. CLICK HERE for all the information about Team 56 (Please allow a few seconds for post to load). Get in contact with Matt Fenwick via email at mattf@apevibro.com. APE has had a long lasting commitment to discovering new ways to benefit the foundation market and the needs of our customers. After extensive R&D we are excited to release the Polar Penetrator series of specialized drill bits. These bits are designed to be run with air that is fed through cutouts in the bits base, the air is ushered through these ports to the cutter face in order keep the cutting plain clear and working hard to reach your final depth. The Polar Penetrator bits can make quick work of frozen dense clays and tundra, as well as tightly consolidated silts and sands of drier climates. These bits will counteract the balling effect that plugs up other forms of drilling and will show less wear due to the quick evacuation of the cuttings away from the teeth. Not to cut short the advantages presented by the traditional CFA, Drag, Tri-cone and Pressure Digger bits, but this bit will add a formidable tool to your arsenal in the war against unforgiving soils. APE’s HD line of drills are a great option to run these bits coupled with our custom Quickloc Drill Stems. Please take a moment CLICK HERE view the attached link to find out more about APE’s new addition to our foundation and drilling tools. 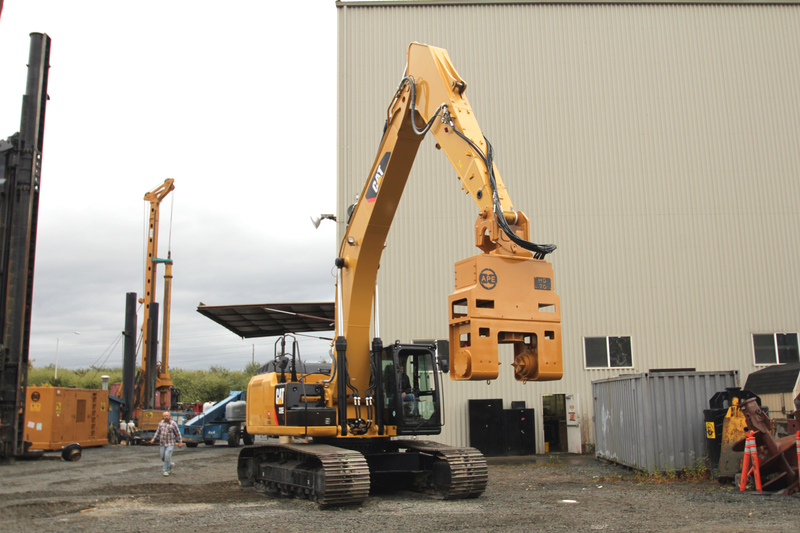 Imco General Purchases the First RoboVibe in the PNW! Get in contact with Chris Wang via email at chrisw@apevibro.com. 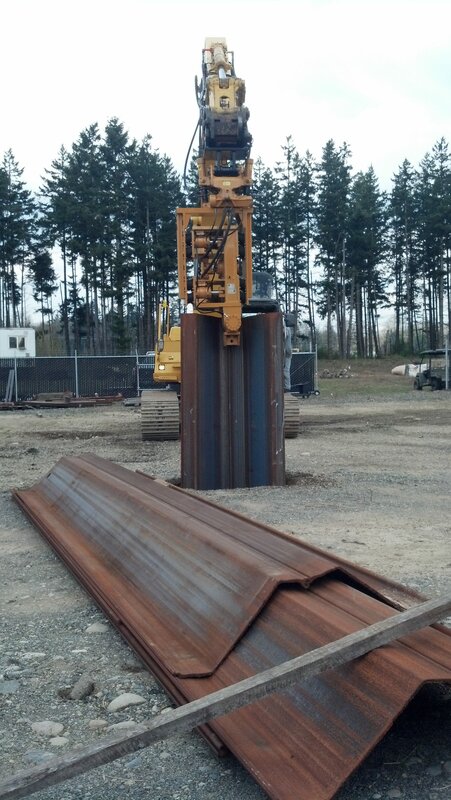 In January 2013, Imco General approached me with their dilemma- On this Everett, WA Highway job, they have limited space to properly sling up and drive their PZ sheet piles. 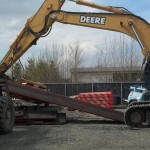 So they need to be able to pick, load, and drive the sheets in one fell swoop with one piece of equipment, an operator, and a couple of ground guys. The obvious choice? The APE RoboVibe vibratory driver and extractor. 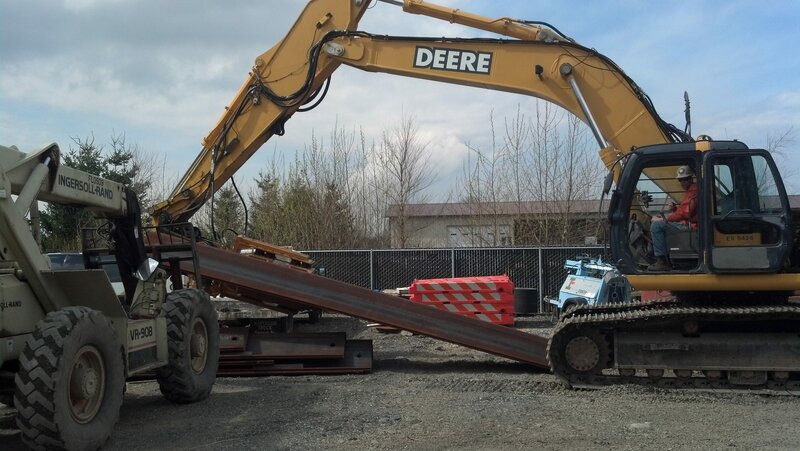 With this unique excavator-mounted vibro, they would be able to pick up the sheets from the ground with the patented side-grip clamps and drive them from either the side or the top of their sheets. After some short talk of the advantages of the RoboVibe over the HMC SP-60 Sonic SideGrip Hammer, Imco General Construction finalized the purchase and received their brand new APE RoboVibe in early April. This is the first and only RoboVibe purchased in the Pacific Northwest. 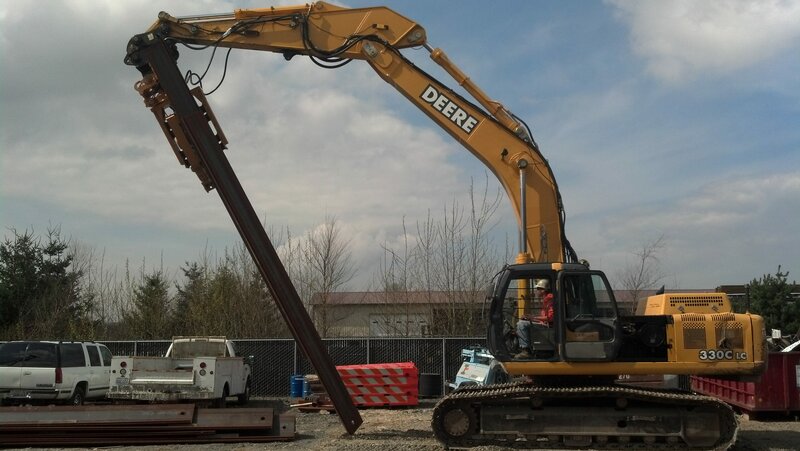 I had the personal pleasure of visiting Imco General at their Ferndale, WA office/yard and had the opportunity to observe the RoboVibe in action as they drove some PZC-26 sheet piles in their yard with their John Deere 330 excavator. This was an interesting as well as a very educational experience as I have never had the opportunity to see a RoboVibe in action before. Imco General was satisfied as well as impressed with the final product; and they will be utilizing it on the Everett Highway job this upcoming May. They will also be renting an APE Model 50 Vibro Hammer to remove the sheets. 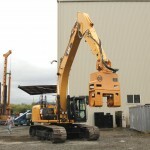 Imco will be hanging the 50 vibro from an excavator and follow behind the RoboVibe for extraction. 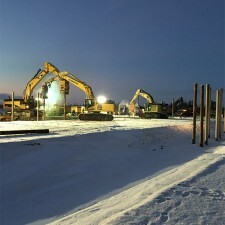 I hope to make it out to the jobsite in the upcoming month and will be providing an update on this job with photos. Get in contact with David White via email at davidw@apevibro.com. 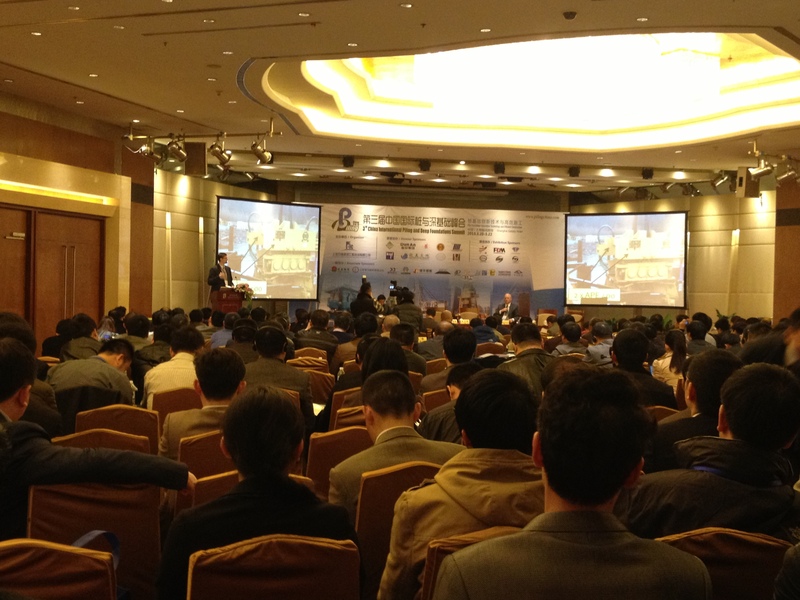 Nearly 400 contractors, engineers, and university research departments gathered in Shanghai this week for the “3rd China International Piling and Deep Foundations Summit 2013.” The summit showcased many new foundation techniques in the foundation industry in China. 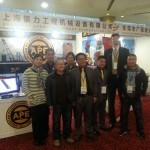 David White, Managing Director of APE China (Shanghai ZhenLi), was invited to present APE’s multi-linked vibratory hammer technology most recently used on the HongKong-Macau-Bridge project to drive 72 foot diameter piles as well as innovations for the wind pile industry foundations. David White was the first foreigner since the Piling summit started in 2001 to give a 30 minute technical speech in only Mandarin Chinese without the aid of a translator. 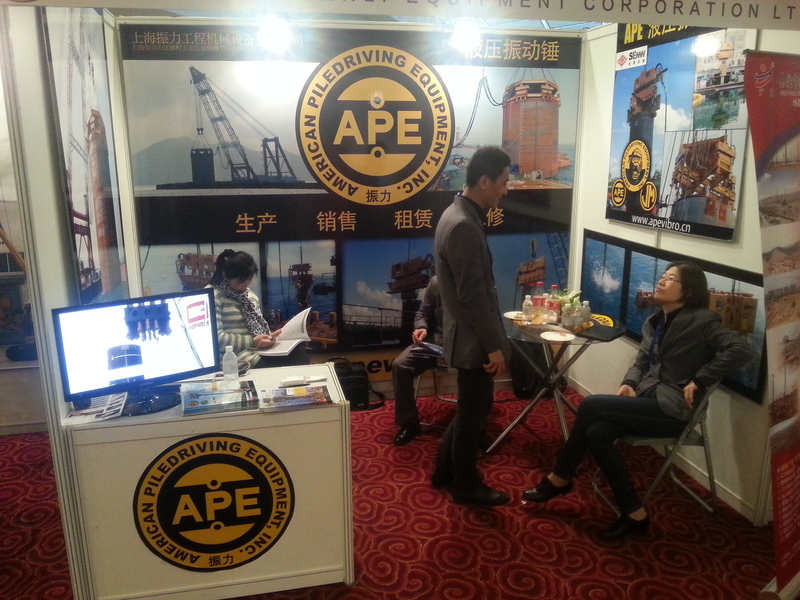 Many design engineers are beginning to think big about what can be done with vibratory hammer technology and the brand of APE is quickly sinking into the hearts and minds of Chinese engineers who want to design huge projects. 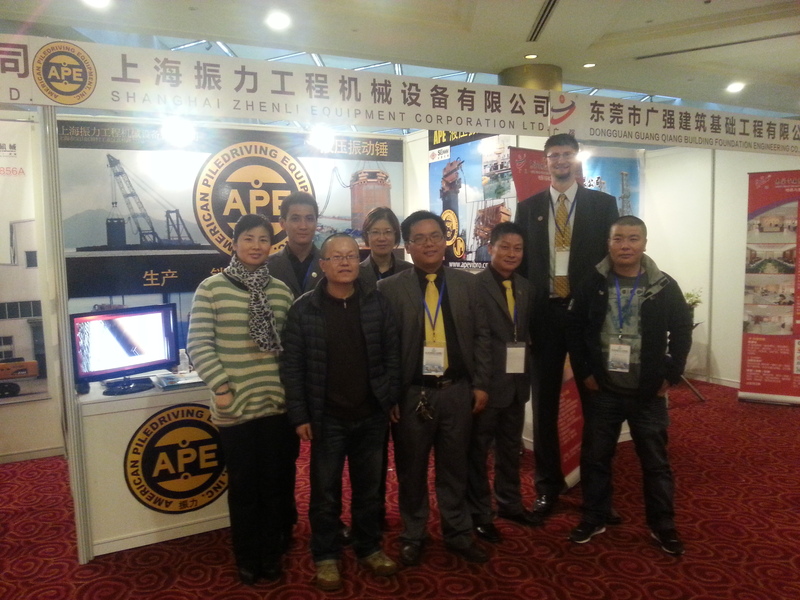 Other than branding APE as a world leader in vibratory hammer technology, many in attendance were small and private contractors interested in driving steel pipe and sheet piling using smaller vibratory hammers. Since APE CHINA (ZhenLi) manufactures model 200’s and 200-6’s in China we have the ability to supply both big government contractors and small private contractors with equal service and competitive price. 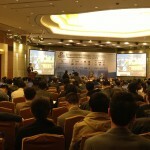 Overall the summit went very well and we hope to be in attendance the for the next Piling summit. 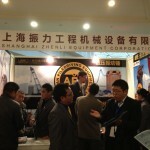 For more information on the show visit www.pilingchina.com. 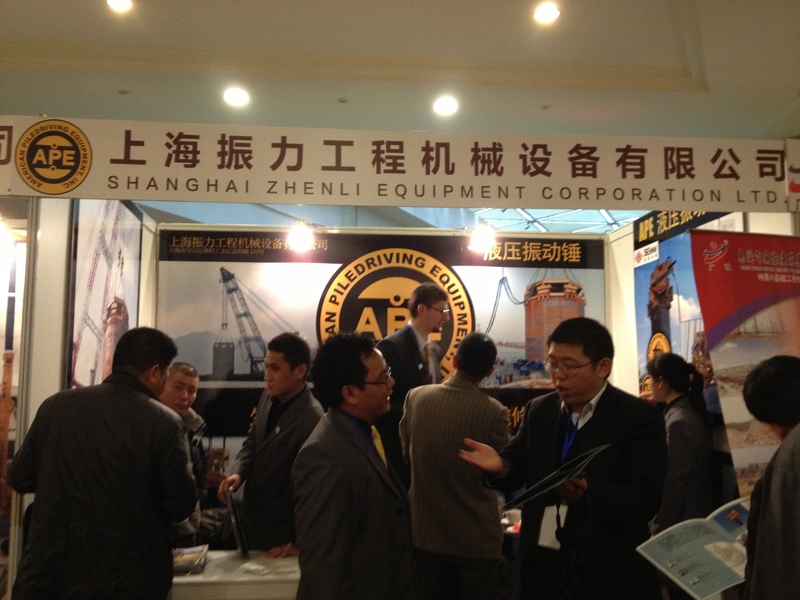 Thank you to all that visited us from around the world, we look forward to working with you soon! It is with heavy hearts that we announce the passing of our Vice President, great friend, and colleague for the past 20 years, Dave Yingling. Dave had been battling cancer for the past many weeks. Our sincerest condolences go out to Lindsey Joy and the rest of Dave’s family. 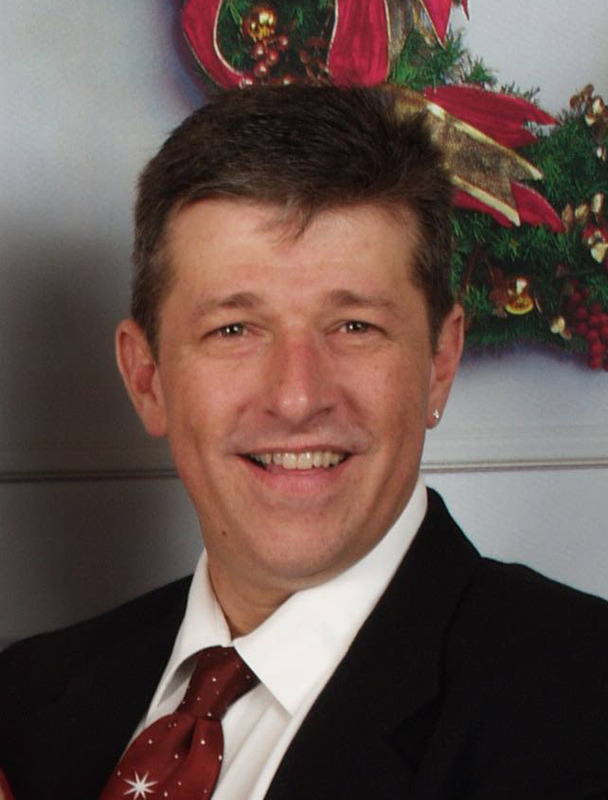 David Alan Yingling, 45 years young, resident of Auburn, Washington passed away on the 10th day of January 2013 at his residence due to complications from cancer. David was born in Vancouver, Washington, on the 24th of June 1967, the son of Donald Raymond Yingling and Cheryl Lou Terner. David attended South Albany High School graduated in 1985. David and his soul mate Lindsey Jo Joy recently celebrated the birth of his only son on March 27, 2012. 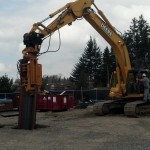 He spent his working career in Kent, WA working for American Pile Driving Equipment Inc. serving as the company’s vice president. 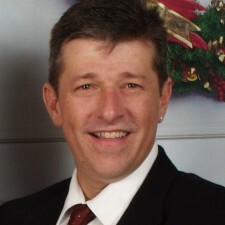 David was proceeded in death by his mother, Cheryl Lou Weekes and is survived by his soul mate Lindsey Jo Joy; his father, Donald Raymond Yingling; his sisters, Teresa Buonocore and Christina Baze; his three children, Megan Ashley Yingling (23) Kelsey Noel Wolfinger (21) and David Alan Yingling Jr (9 months); his grandson, Renton Jamie Hazard (5) and all who loved him. A memorial service will be held Tuesday January 15th at 12:00PM at LifeWay Church, 5015 SW Dash Point Road, Federal Way. Arrangements by Yahn and Son Funeral Home, Auburn. A memorial fund has been set up for David Jr. 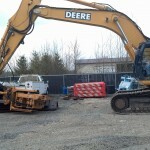 Please send contributions to American Piledriving Equipment Inc.
P.O. Box 88730 Seattle, WA. Please make checks payable to David A. Yingling Jr.
To visit Dave’s obituary go to www.yahnandson.com, once there family can sign the guest book and upload any photos you have of Dave. Friends and coworkers feel free to leave comments and memories here on the APE website below the article. 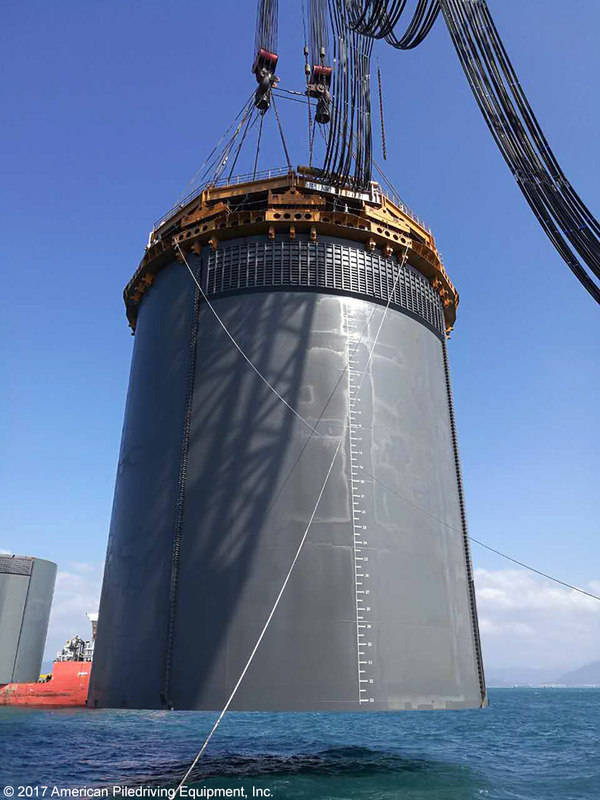 APE has developed Helical Pile systems that will change the nature of helical pile as they are seen by the deep foundations industry. 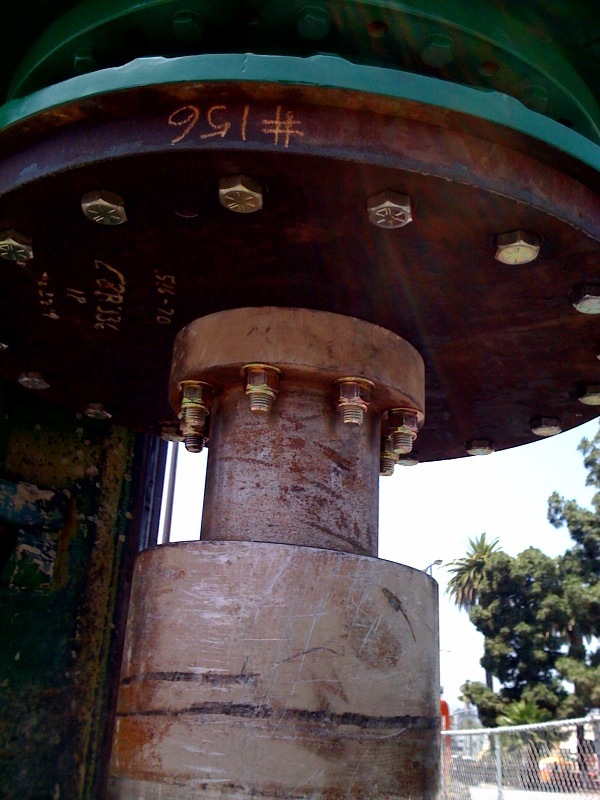 Helical piles have been for most of their history produced by manufacturers who have focused on small diameter screw anchors. These anchors began as tie downs for cables supporting power poles and evolved into small diameter screw anchors used on low capacity foundations. 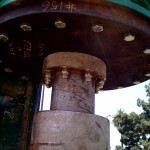 The bolt together sections, homemade driving equipment and the lack of main stream engineering made them suspect and generally unaccepted by the deep foundation industry. APE has embarked on a program that encompasses material manufacture and supply, equipment development and engineering that relies on the standard principles for deep foundations developed by engineers for over 900 years since the Romans were driving piles in Europe. 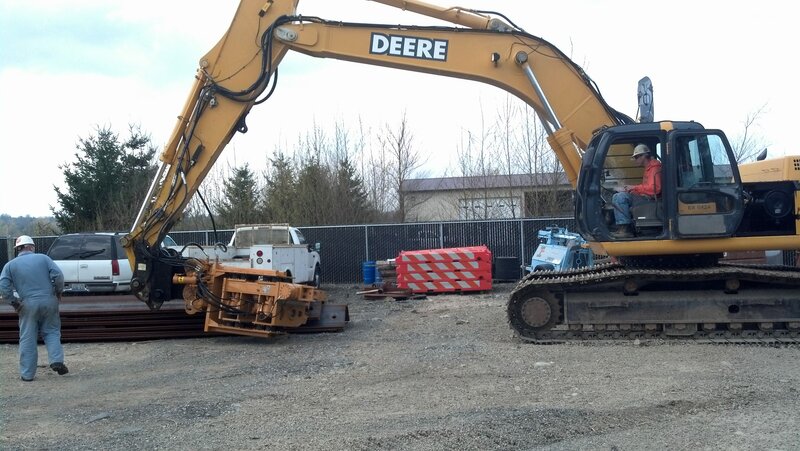 Additionally APE has added patented drive and coupling technology developed by contractors in the Northwest. 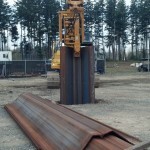 This technology has been proven over hundreds of thousands of feet of helical pile, that have been load tested, statically and dynamically hundreds of times. 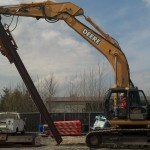 APE has purchased this technology and APE engineers added their years of experience to develop the first mainstream equipment to be specifically designed to install helical piles. 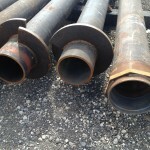 APE has developed large diameter shafts up to 42″ in diameter with 1″ wall 80,000 yield DSAW pipe. 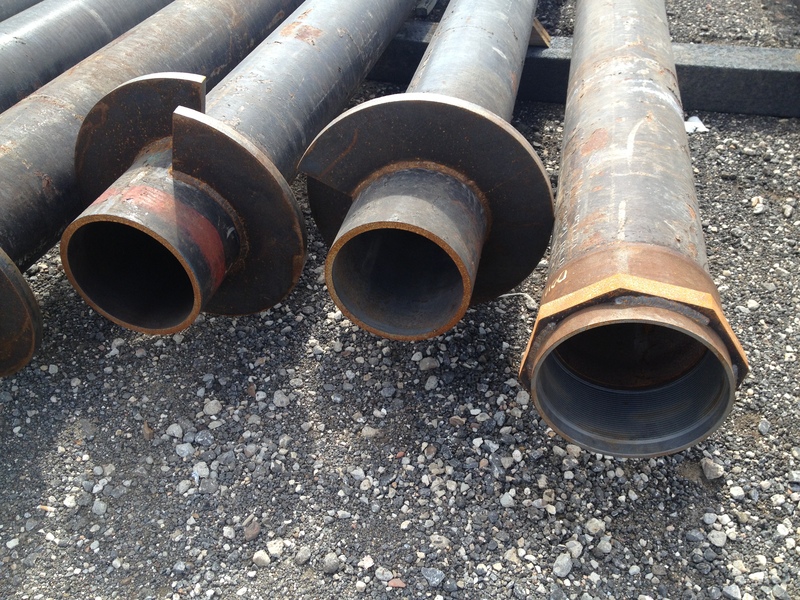 These large helical are helping designers overcome the endangered species issues that are crippling steel pile driving in marine environments. This technology works with standard ground source heat pumps (GSHP) and allows the Helical Pile Foundation to be the ground loop. By heating and cooling the building with the most efficient green energy technology on the market, the foundation qualifies for a 10% on commercial, and 30% on residential tax credit. The foundation will also pay for itself in energy savings in just a few years. 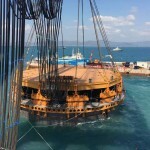 Remote access with the excavator mounted equipment, high capacities with pressure grouting, unparalleled low overhead access and deep drives with the threaded connections, the first material and equipment made for helical pile, socket drive technology, large OD pile that do not endanger marine life. 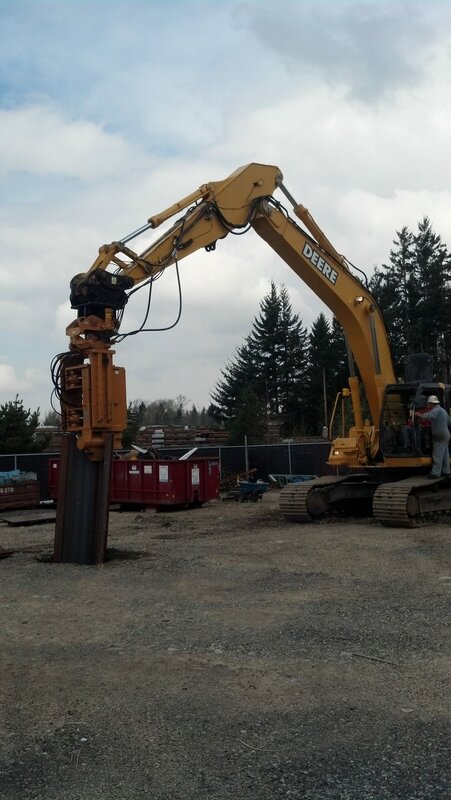 Engineering that fits into the mainstream of the geophysical engineering world, and foundations that heat and cool the building with technology that the DOE dubbed “The no#1 green technology for the 21st century” APE has changed the face of helical piles and deep foundations. 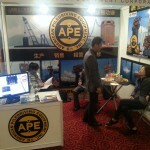 The APE OctaKong is still making news in the Deep Foundation Construction industry. 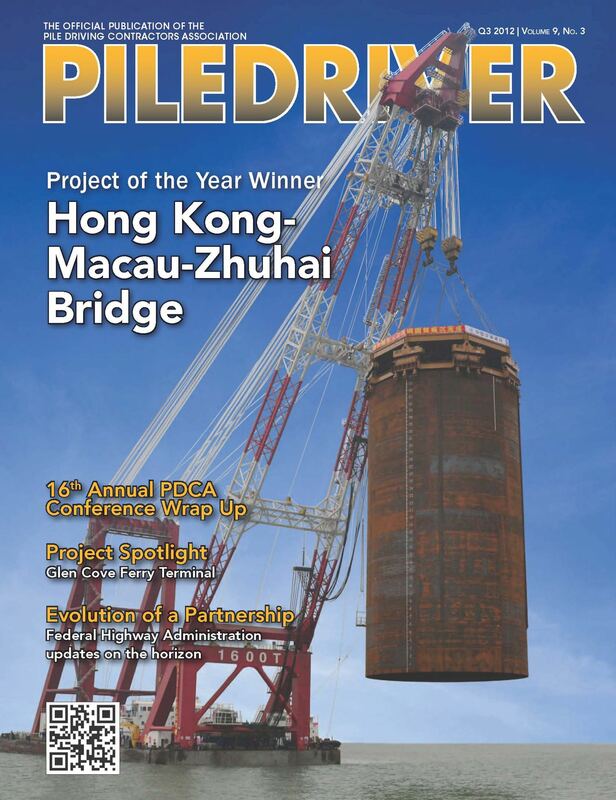 The Pile Driving Contractors Association (PDCA) has recently put out the 2012 Q3 edition of their Piledriver Magazine. 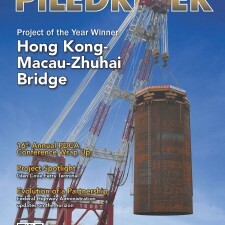 Take a minute to check out this issue of Piledriver for the accomplishments and details on the project. 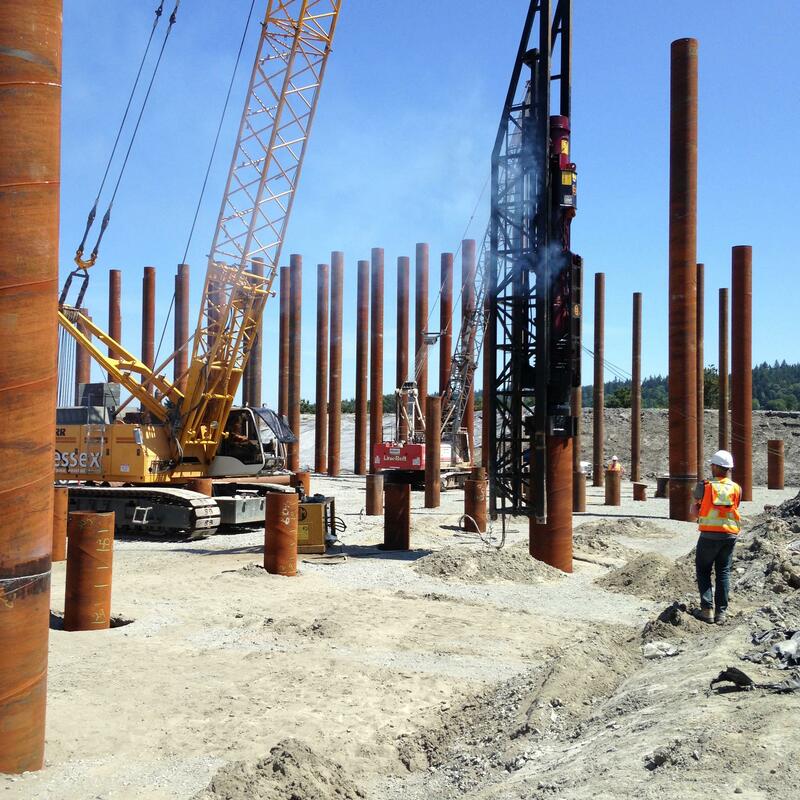 Once again this project has redefined what the limits are in the pile driving industry, and we can’t thank our business partners, vendors and customers enough for making it all happen!